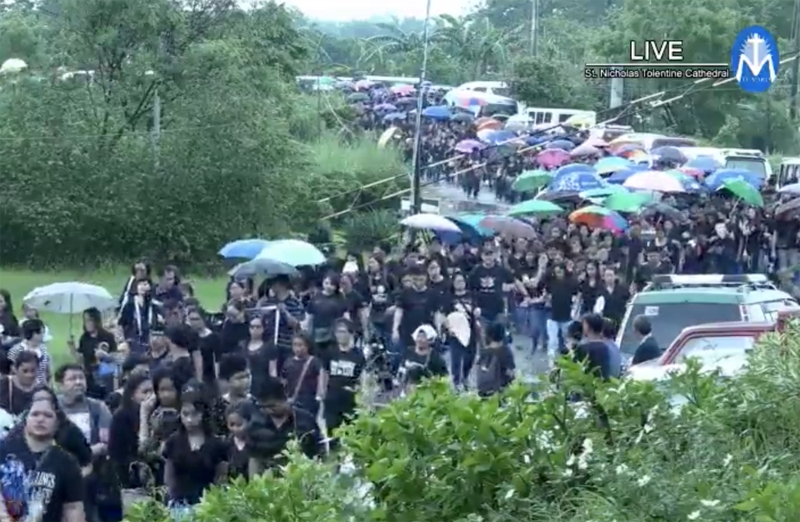 CABANATUAN CITY, June 15, 2018–Thousands of black-clad mourners have crowded the city streets of Cabanatuan in Nueva Ecija for the funeral procession of slain Father Richmond Nilo. 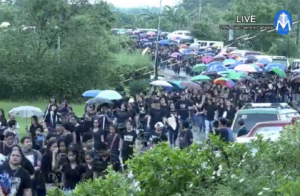 Rains did not stop more than 12,000 people from joining the procession from the College of the Immaculate Conception (CIC) Chapel to the new St. Nicholas of Tolentine Cathedral to pay their last respects to the priest. Many of those who lined up for the procession were from his hometown in San Antonio and his parishioners at the St. Vincent Ferrer Parish in Zaragoza town. 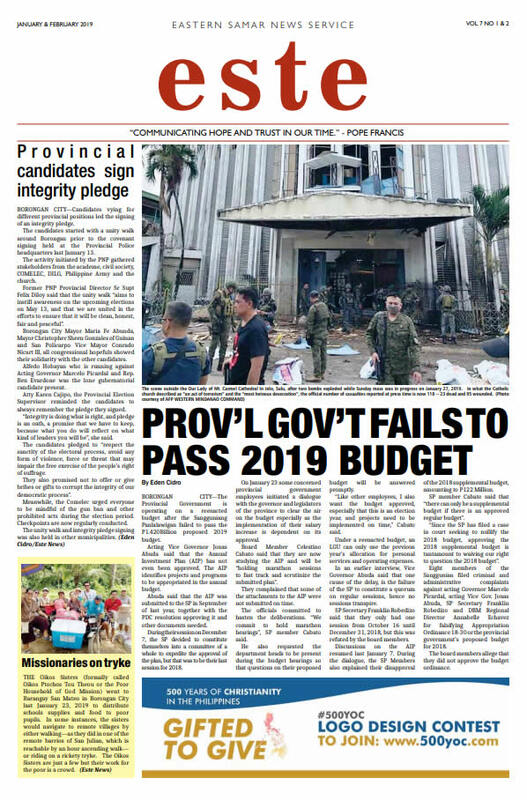 His funeral took place less than a week after he was gunned down while preparing for a Mass at the barangay chapel of Mayamot in Zaragoza on June 10. “He (Nilo) helped us get back on our feet slowly. He gave a new hope to my family,” said a tearful Anthony Velasco from Zaragoza. Juliene Ocampo thanked the priest for his program to help her fellow deaf-mute students at the CIC where there Nilo served as president of six years. “If not because of him, we will not be able to finish our education,” she said. Dozens of bishops and priests led by Papal nuncio Archbishop Gabriele Caccia attended the funeral Mass presided over by Bishop Sofronio Bancud of Cabanatuan. In his homily, Bancud said that when temptation is great to respond to hate with hate, an authentic conversion of heart is necessary. He said that Christians are called to respond to attacks with the works of God which are forgiveness, love and respect for other people even if they are indifferent. “Whatever it is that we are facing today in our families and communities, let us respond with love,” Bancud said. The bishop added that the murder of Nilo only mirrors the many violence happening in the world today. After the Mass, Nilo was laid to rest at the crypt of the cathedral.